AN INTERNAL GARDA audit committee has raised concerns over the force’s procedures for handling evidence. The Garda Internal Audit Committee (GIAC), which is headed by ex-civil servant Michael Howard, said in its 2015 report that there were “property management issues” within the force. It said that there were still 23 outstanding priority recommendations out of 44 to be implemented relating to the “control, management and recording of drugs exhibits, property and evidence”. This includes cash held at Garda stations. That section is the highest category of unresolved issues. However, the report says that management are addressing the issues. 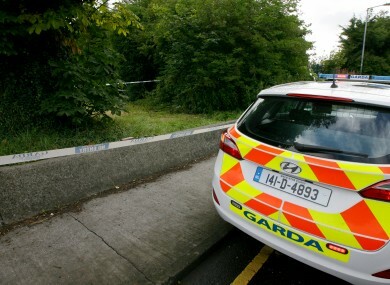 While this remains a concern for the Committee, it is noted that An Garda Síochána are addressing this matter as a priority under the Strategic Transformation Agenda (TRUST) and a phased approach to rectifying the control weaknesses has commenced. The committee also noted improvements relating to the “recording and management of sickness and other staff absences” and improvements to how the penalty points system was administered. However, four staff vacancies out of ten, including one for a professional account, remain unfilled. In its conclusion, the report says that there are “adequate systems of control across the organisation”. Email “Concerns raised over Garda handling of drugs and cash”. Feedback on “Concerns raised over Garda handling of drugs and cash”.